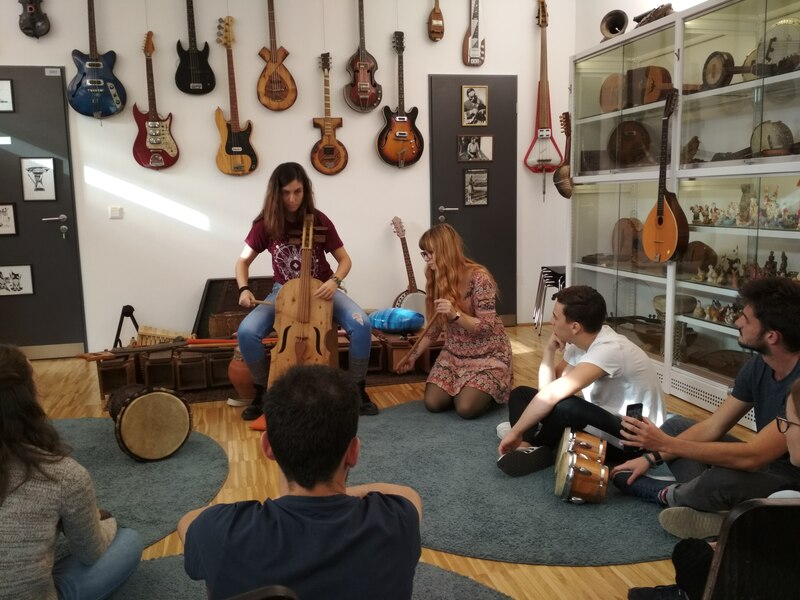 A Neumann János Egyetem Pedagógusképző Karán az Erasmus+ program keretében jelenleg kilenc külföldi hallgató tanul. A számukra szervezett Intercultural Course alkalmával az elmúlt két hétben a Szórakaténusz Játékmúzeum és Műhely, illetve a Leskowsky Hangszergyűjtemény megtekintésére került sor. Erasmusos hallgatóink itt szerzett élményeiről Anaho Blandet írt angol nyelvű képes beszámolót, melyet itt olvashattok. Thanks to the Erasmus program we had the opportunity to visit some museums in the city of Kecskemet. So far, we went to the Szórakaténusz Toy Museum on the 17th October and to Leskowsky Instruments Museum on the 26th October. In the Toy Museum, we were expecting to see some homemade toys, unfortunately it was closed at this time. Therefore, for our greatest delight, the three women who welcomed us gave us the chance to have a clay workshop which has permit us to show our own talent in the realisation of some pieces of pottery. It was a really creative time where we learned to make some soap dish and more. Then we had the possibility to paint our products. Now we are really impatient to see the result of the drying and the finality of what we made. We spend a really good time in this Museum. In the Musical Instrument Museum we saw some traditional instruments from the Hungarian culture. Then we had the chance to try all of them, which was very pleasant. The lady who welcomed us seems totally passionate on what she was doing and we definitively had some good time hearing at her playing all the instruments. Both of the visit were very entertaining.